"As a soldier, we've sworn to protect against enemies both foreign and domestic,"
"They've been spraying them with water and mace and other things," said Wilbur Hilton, of Flint, a retired plumber and Vietnam War-era U.S. Army veteran. "We as veterans want to know if they can do the same to us. And if they will do this to us veterans of the military, then what does that tell us about our country?" At a campsite about 50 yards away, Iraq War Veteran Derrick Banaden, 33, of San Marcos, Texas, was helping put up the big green tent. Veterans interviewed by Reuters gave a plethora of motives for traveling here. Some felt it was their patriotic duty to defend protesters, especially since Native Americans have historically had an active presence in the U.S. military. 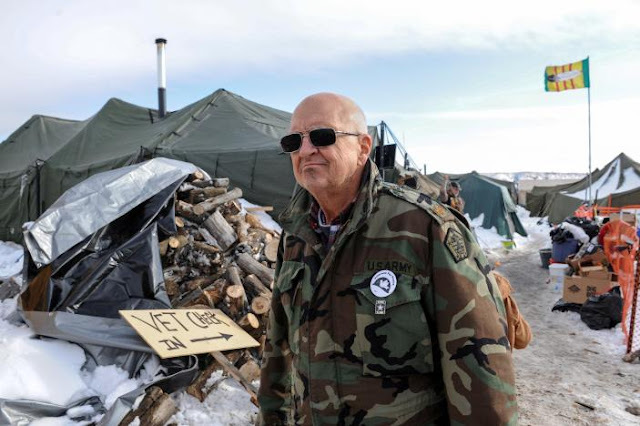 “We’re under constant surveillance with helicopters and planes flying over. 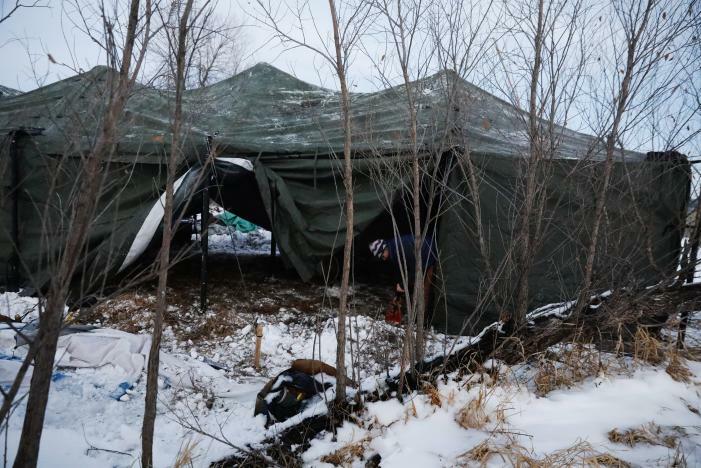 There is a military boundary with barbed wire,” said Angie Spencer, 34, a clinical psychologist from Seattle who has worked with veterans. Native Americans serve at a high rate in the armed forces, according to data from the U.S. Department of Veterans Affairs. 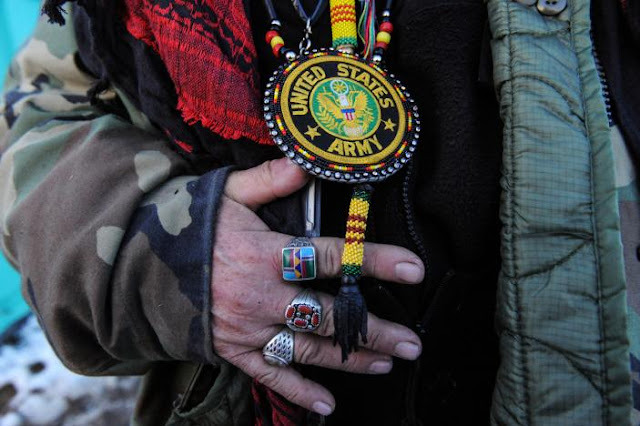 A 2012 report showed more than 150,000 veterans of Native American descent. 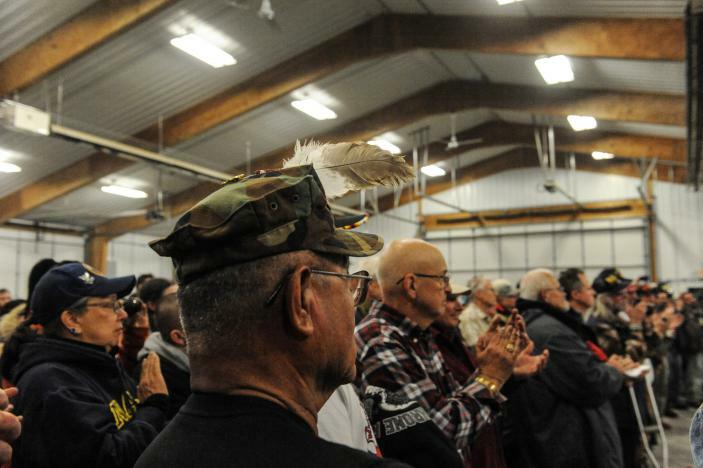 U.S. Defense Department data as of 2014 put Alaskan/Native American service members at more than 24,000. 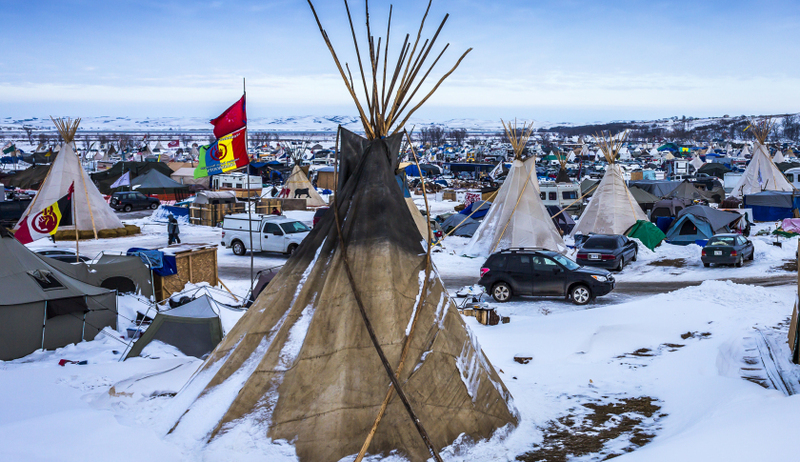 Oceti Sakowin Camp near the Standing Rock Reservation on Saturday, Dec. 3, 2016 near Cannon Ball. 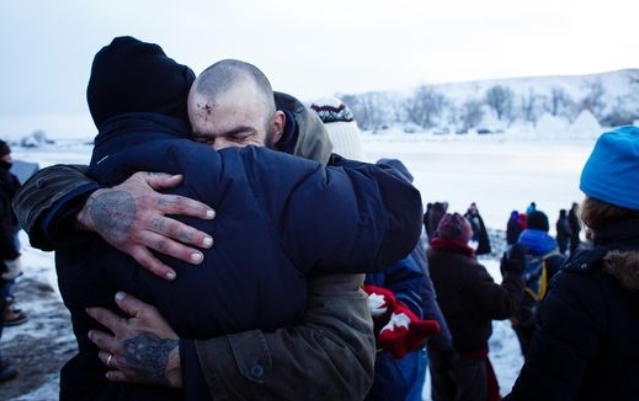 Responses to "US Vets at Standing Rock: We're On the Right Side of History"
Thank You for helping so much! 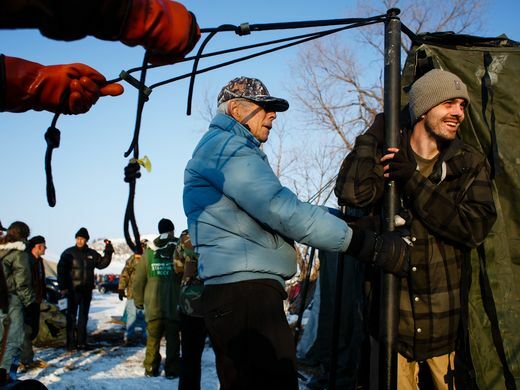 The Vets being there are the reason they backed off on the route of the pipeline! I don't believe in coincidence!They are a good force and should stay put for the duration. I wish I could be there,,,but my spirit is anyway! Just remember,,this is a temporary thing while they do an environmental study,,,a stall tactic! Maybe in hopes that the veterans go home...don't fall for it! The Rainbow Tribe has come together, and now we will All be One! There’s a typo in this sentence, it should read “have had the chance”. Missing a t.